Through-Zero: provides authentic tape-style flanging without all the calibration, biasing, demagnetizing of heads, and so on that a real tape machine - two of ‘em, actually - requires. Use Through-Zero Mode to achieve intensified, swirling, dramatic phase cancellation and comb-filtering effects in stereo! 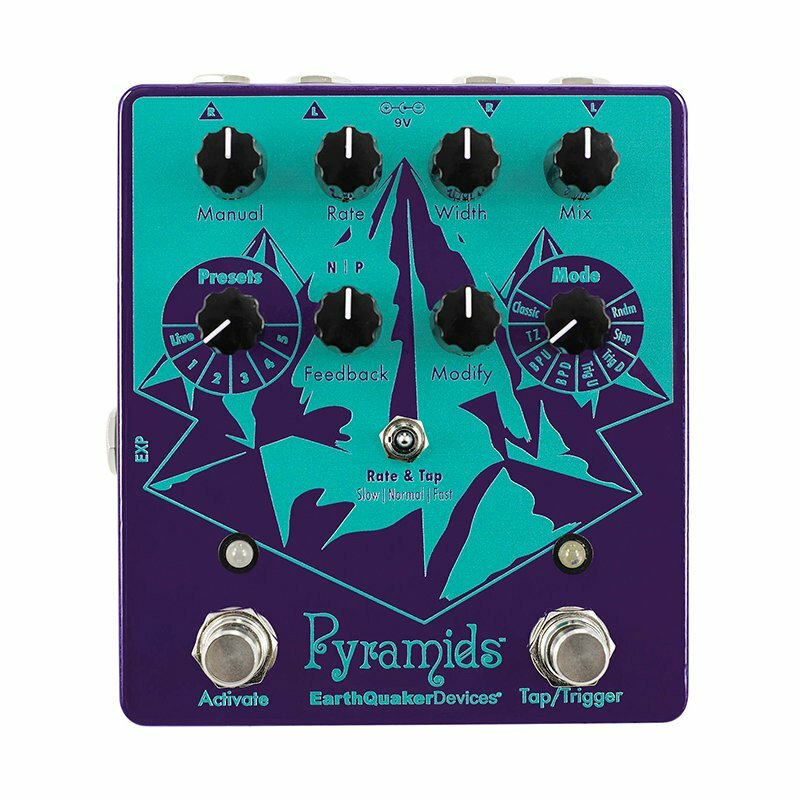 Pyramids Stereo Flanging Device will be available at EarthQuaker Devices dealers worldwide on May 2, 2018. Five user-definable presets; a first for any EarthQuaker Devices pedal! For standard latching operation, tap the footswitch to activate the effect and tap again to bypass. For momentary operation, simply hold down the footswitch for as long as you’d like to use the effect. Release the footswitch to bypass.